Due to repeated calls for reviving ops, govt will step in, says Industries Minister K J George. When HAL stopped operations on May 23, 2008 after half-a-century of operations, it was registering 10 million passengers annually. BENGALURU: Talks on reviving the Hindustan Aeronautics Limited (HAL) airport, shut for commercial operations over a decade ago after the Bengaluru International Airport commenced operations at Devanahalli, have surfaced on and off. Large and Medium Scale Industries Minister K J George reopened the matter last week by stating that the government was planning to hold talks on August 18 in this connection with the parties concerned. The HAL airport, that was run by the Airports Authority of India, had to be shut on May 23, 2008, for scheduled aircraft operations following a concessional agreement signed in 2004 between the Ministry of Civil Aviation and the the airport operator, Bangalore International Airport Limited (BIAL) that no commercial airport would function within a 150-km radius of it. The agreement was valid for the next 25 years (up to May 2033). Minister K J George told The New Indian Express, "The government will hold talks with BIAL this week in connection with opening up HAL. The agreement entered into by BIAL is the main hurdle. There is no problem from HAL's side to begin operations." When HAL stopped operations on May 23, 2008 after half-a-century of operations, it was registering 10 million passengers annually. Presently, it only operates chartered, VIP and defence-related aircraft apart from serving as a training ground for pilots of major airlines. HAL's location in the heart of the City, as compared to Devanahalli nearly 40 km away, has resulted in repeated calls to revive it, particularly from the business community. 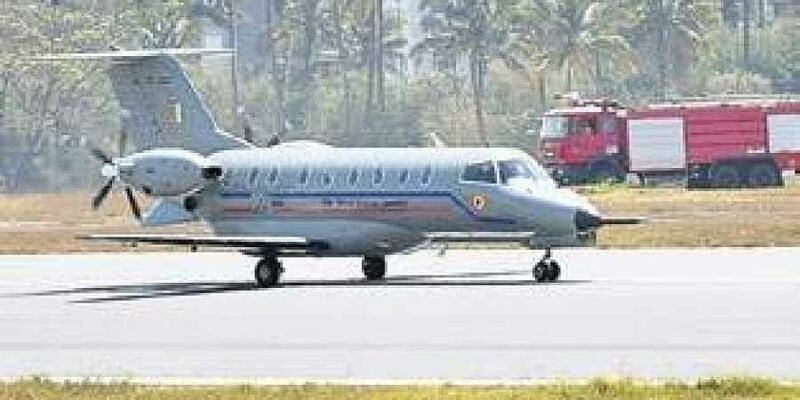 Asked about the chances of BIAL permitting civilian operations from HAL, a highly placed official in BIAL said, "We are ready to permit operations from HAL provided BIAL is entrusted with the responsibility of running the commercial operations there." Meanwhile, a HAL source said they were always open to commercial operations. "As soon as we are given the green signal, we are ready to restart flights from here."